Callum has three cars. They are all old.. 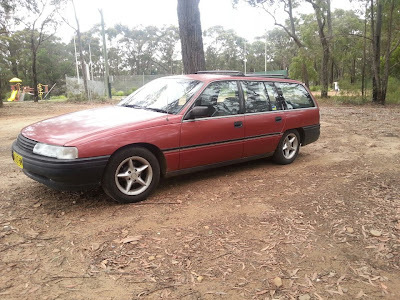 The one he got first is a Commodore-wagon. It is pinky red and he replaced one of the doors, so one door is now white. He also has a green Kingswood. It doesn't have any air conditioning except a fan. The Kingswood has the strangest seat belts which you have to hang up. 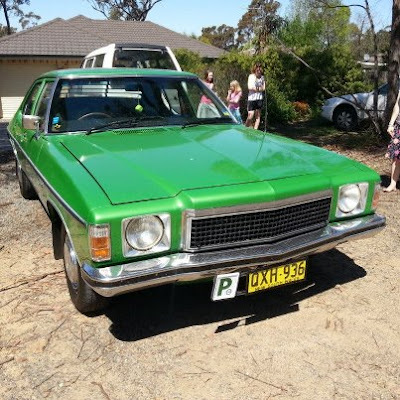 Mum wasn't sure when Callum decided to bring an old manual Kingswood ute home. I like the ute's wooden steering wheel. Callum loves his cars. "You have to sell one of them," said Dad. "Three cars is too many." Callum is trying to fix the ute. It has something wrong with the brakes and it only has fifteen small holes in the passenger's side. Callum also said that there isn't much rust. I don't believe him. "Is that Victorian plumbing in the back?" asked Charlotte. "Why don't you sell the ute in parts?" suggested Dad. 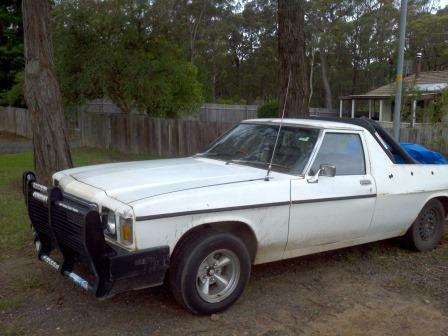 But Callum has decided to sell the Commodore.